People around you might be used to sharing a number of reasons and facts about smoking. Some of you might have already decided not to smoke ever in your life, but wait. It is really that easy. No it is not. Quitting smoking is one thing while only planning for it is quite another. There is a big difference between the two which most of us do not understand. When the body once adopts to nicotine consumption, then you might fail to live without a cigarette. No matter how hard some people might try, they simply can’t quit this nasty habit. There is no end to the studies which have confirmed that smoking reduces your age with each cigarette you consume. Well, there is a lot more to it. There are some studies which have also confirmed that smoking might lead to obesity, sexual disturbances and information processing problems. Yes, whether you like it or not, smoking can reduce your problem solving abilities. Now here, some of you might argue that some of the most intelligent people in the world used to smoke. But the reality is that they had the intelligence genes inside their blood. It was not the cigarettes that made them a genius, but rather their own cognitive abilities. If that would have been the case, then each idiot in this world would have been a genius simply by taking up smoking. With this said, here are the 5 bizarre reasons and facts for not smoking. It might sound weird to you, but smoking leads to obesity in most people while slims down others. The exact mechanism in which the slimness is achieved can be questioned. Moreover, there are also some studies that confirm that smoking might lead to loss of weight. If you are a smoker, then there is a maximum probability that most girls will negatively think about you. Some of you might argue here that women like smokers, but the reality is that most women don’t. Things will get worse for you if you are from Asia, as smoking is still considered to be a stereotype in most areas of the continent. You should also remember that at times of a big fight with your wife or fiancé, your smoking habit might be used against you in a pretty harsh manner. Smoking can definitely lead to a number of diseases at the same time including: heart problems, obesity, osteopenia etc. So would anyone of you love to die from all these diseases all at the same time? I am sure not. Excessive smoking might lead to lower sexual arousal. Imagine how this is going to feel on your marriage night. It will be a big slap on all your claims about male-li-hood. You have no idea about how this inability can damage your reputation in your friends, relatives and acquaints. Some studies have confirmed that smokers have more hearing issues in comparison to non-smokers. The results of this study can be questioned, but there is indeed something factual about this reason. As the nicotine directly effects the nervous systems and a number of brain areas, so an alteration in the primary auditory cortex (the area concerned with the processing of auditory information) is not something out of the world. 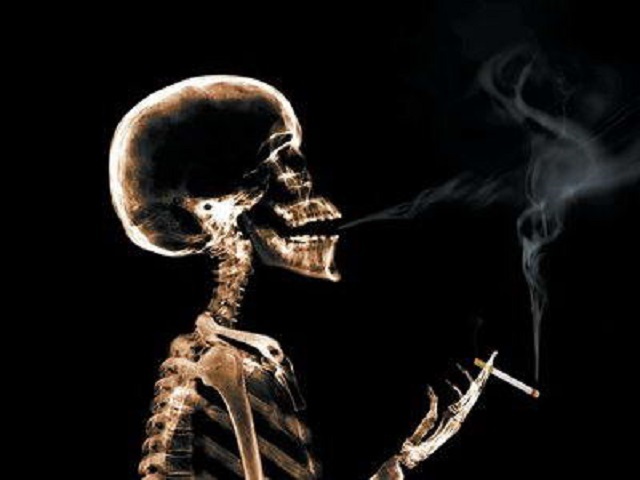 With these bizarre reasons in mind, you should quit smoking right now. If you have some weird reasons of your own, don’t forget to share them with us.